Offering you a complete choice of products which include yelloe black red synthetic leather hand bag with stylish, yelloe black synthetic leather hand bag with stylish front, yelloe grey tan synthetic leather hand bag with stylish fl, yelloe pink synthetic leather hand bag with stylish front m, yelloe red handbag in dotted effect with multi compartments and yelloe spacious blue synthetic leather shoulder bag with com. Attractively designed with splashes of black and red colours, this handbag from yelloe is a pretty accessory to head out for a fun outing or a weekend date, in style. Durable and lightweight, this synthetic leather handbag has hardware detailing on the flap front and rivet reinforcements on the edges that add sophistication to it. Designed with an organised ­interior to hold your essentials efficiently and grab handle to lend you excellent carrying comfort, this handbag will definitely cheer up your outfit. Chic and modish, this Black coloured Hand Bag from the house of Yelloe will help you keep your stuff handy while you are on the move. Made of Synthetic Leather, this Hand Bag for women will be your companion for years to come. Easy to carry, this Hand Bag is visually appealing. 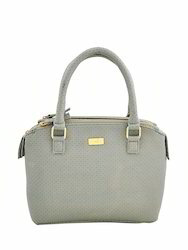 Attractively designed with splashes of dark grey and tan colours, this handbag from yelloe is a pretty accessory to head out for a fun outing or a weekend date, in style. Durable and lightweight, this synthetic leather handbag has hardware detailing on the flap front and rivet reinforcements on the edges that add sophistication to it. Designed with an organised ­interior to hold your essentials efficiently and grab handle to lend you excellent carrying comfort, this handbag will definitely cheer up your outfit. Chic and modish, this Pink coloured Hand Bag from the house of Yelloe will help you keep your stuff handy while you are on the move. 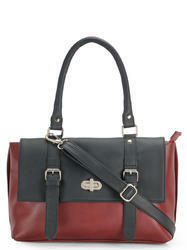 Made of Synthetic Leather, this Hand Bag for women will be your companion for years to come. Easy to carry, this Hand Bag is visually appealing. Look stylish and trendy with this supercool shoulder bag from Yelloe, which is specially meant to redefine your fashion statement. 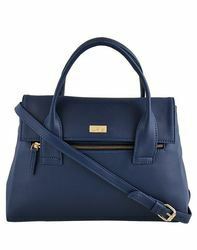 Made from synthetic leather, this Blue handbag is capacious enough to hold all your daily essentials. 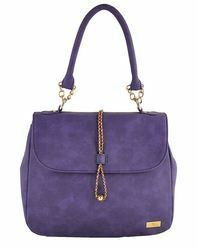 Cute and trendy, this Purple coloured handbag by Yelloe will tempt you to buy it instantly. It is compact yet can store your important things with ease. Made from polyurethane (pu), it will convince you of its good quality in no time. 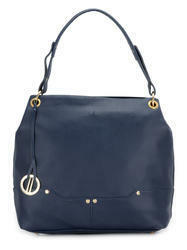 Fetch a catchy look by just carrying this bag with a simple top and a pair of jeans. 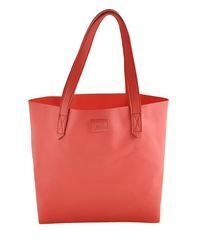 Carry your everyday essentials in style with this Red coloured handbag from the house of Yelloe. Made of synthetic leather, this handbag is quite high on quality as well as light in weight. 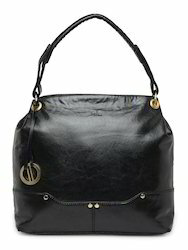 Chic and modish, this handbag has enough space to accommodate your belongings. Carry your everyday essentials in style with this tan coloured handbag from the house of Yelloe. Made of synthetic leather, this handbag is quite high on quality as well as light in weight. Chic and modish, this handbag has enough space to accommodate your belongings. 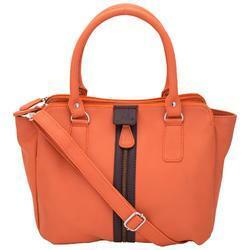 Cute and trendy, this orange coloured handbag by Yelloe will tempt you to buy it instantly. It is compact yet can store your important things with ease. Made from synthetic leather, it will convince you of its good quality in no time. 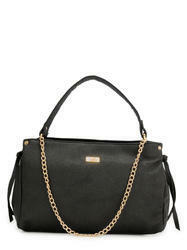 Fetch a catchy look by just carrying this bag with a simple top and a pair of jeans. 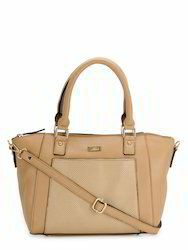 Bring a hot chic vibe to your casual wardrobe with this tan handnag from Yelloe Tan colored Handbag. This bag is spacious and have multi compartments to keep your stuff safe and look stylish. Dual shoulder straps. Lined interior features back wall zipper. Be it your intense winter look or a cheerful Summer appearance, this Black coloured handbag from Yelloe will certainly do justice to both. Carry it on your wrist and look like a diva wherever you go. 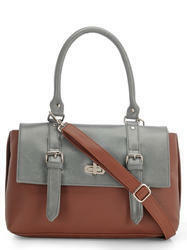 This faux leather handbag will carry your essentials systematically without making it look too bulky. Chic and modish, this Off White coloured Hand Bag from the house of Yelloe will help you keep your stuff handy while you are on the move. Made of Synthetic Leather, this Hand Bag for women will be your companion for years to come. 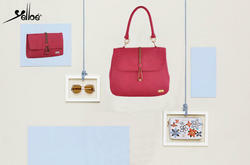 Easy to carry, this Hand Bag is visually appealing. Look stylish and trendy with this supercool handbag from Yelloe, which is specially meant to redefine your fashion statement. Made from synthetic leather, this Black handbag is capacious enough to hold all your daily essentials. 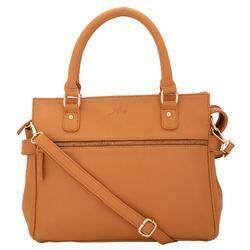 Look gorgeous and earn scores of new admirers by carrying this tan handbag by Yelloe. Exhibiting a chic bow detailing and a simple design, it has a shoulder strap for your convenience. Made of high quality Synthetic Leather, it offers ample space to accommodate daily essentials in a safe manner. As practical as it is fashionable, this modish Blue coloured hand bag from Yelloe is a smart pick for your off-duty outings with friends. 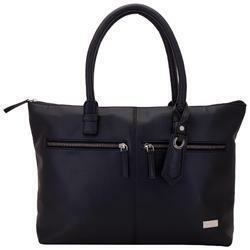 Waterproof and durable because of its PU (polyurethane) body, this women’ hand bag features both dual carry handles and a long, adjustable strap for a customised carry. As practical as it is fashionable, this modish Black coloured hand bag from Yelloe is a smart pick for your off-duty outings with friends. durable because of its PU (polyurethane) body, this women’ hand bag features both dual carry handles and a long, adjustable strap for a customised carry. Cute and trendy, this Blue coloured handbag by Yelloe will tempt you to buy it instantly. It is compact yet can store your important things with ease. Made from polyurethane (pu), it will convince you of its good quality in no time. 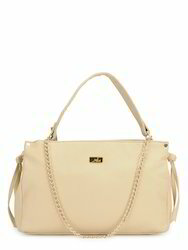 Fetch a catchy look by just carrying this bag with a simple top and a pair of jeans. 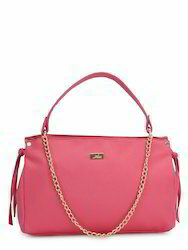 Cute and trendy, this pink coloured handbag by Yellow will tempt you to buy it instantly. It is compact yet can store your important things with ease. Made from polyurethane (pu), it will convince you of its good quality in no time. 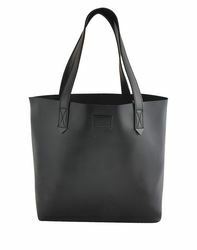 Fetch a catchy look by just carrying this bag with a simple top and a pair of jeans. Cute and trendy, this black & white coloured handbag with punched look on the top by yelloe will tempt you to buy it instantly. It is compact yet can store your important things with ease. Made from high quality Synthetic Leather, it will convince you of its good quality in no time. 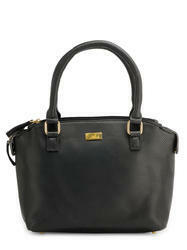 Fetch a catchy look by just carrying this bag with a simple top and a pair of jeans. Be it your intense winter look or a cheerful Winter appearance, this taupe coloured handbag from Yelloe will certainly do justice to both. Carry it on your wrist and look like a diva wherever you go. 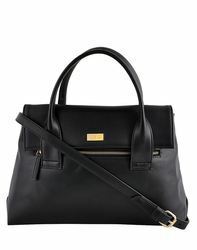 This faux leather handbag will carry your essentials systematically without making it look too bulky.